How does our heart unlock our greatest collective ability to act and respond during times of uncertainty and adversity? As spring awakens, melting the remnants of ice and snow, I feel the stirring of Mother Earth’s power beneath the surface, ready to ignite all of life with renewed creative energy. I’d like to share a dream that came in mid February, with the first hint of spring in the air; a promise of renewal and rebirth. I am standing facing the lake, and see an iceberg headed towards the shore. It has a group of people on it that seem to be lost, disconnected from the land from which they came. The iceberg lands at our shore, grinding it’s way slowly and powerfully towards the propane tank! I have a moment of panic that it will hit the tank and create a huge explosion. Thankfully, it stops just short of the tank. I greet a woman, who seems to be the leader or spokesperson of the group as she steps off the iceberg. From the expression on her face, I sense she is bereft, annoyed for having landed here, as though this place does not meet with her, or the group’s expectation. As I approach I sense fear, frustration, and vulnerability, masked as ingratitude, disrespect and arrogance; a lost tribe looking for a safe place to land. I say to her ‘What an amazing gift for you to have landed here, at this shore, for this is a very, very special place; a place of great value. We help people reconnect with their spirit and the spirit of Mother Earth’. This dream came shortly after our Heart Flame of Shamanism Gathering, with the guiding inspiration “In gratitude, we embrace the Fire, living within the magic of Winter, connecting to the Root of All. Raising our vibration, we reflect the sweetness and beauty of the heart flame, awakening the language of Unity in the melting ice.” As unsustainable structures and foundations melt and crumble, exposing the wounds they were built upon, how do we cultivate courage, trusting our heart light to navigate and guide us into the unknown, fulfilling our soul’s calling and the calling of Mother Earth? January 2018, marked the 20th year of my father’s death. Anniversaries are opportunities to reflect and appreciate the gifts of our relationships. 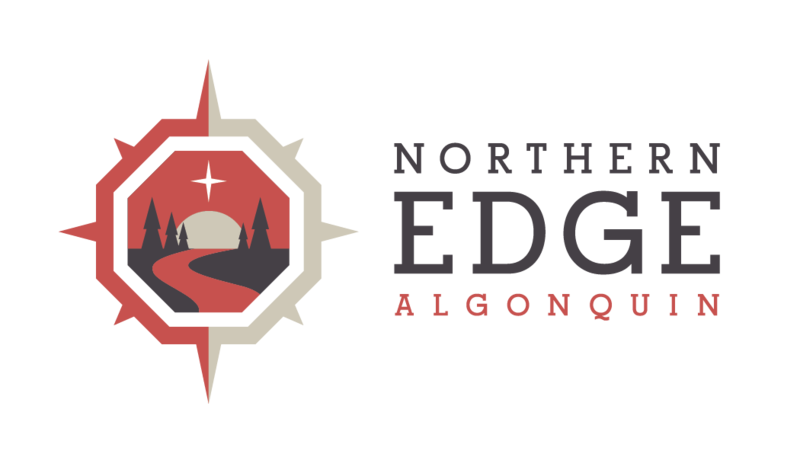 I recently revisited and rewrote the Story of the Edge, describing my healing journey with my father, and the adventure my family and I embarked on that led to the creation of Northern Edge Retreat and Awareness Centre. Revisiting where we have been, and the guideposts that led us, can be helpful in cultivating a deeper trust of our hearts to lead the way. Since my Mother’s passing in the autumn of 2016, we have been undergoing tremendous change at the Edge. Death is a powerful force, that can bring about change in every aspect of one’s life. The Heart of Death is an energy that helps sweep away and clear the closet of non-living stuck places – clutter – to make way for new life. I remember feeling a deep stirring in the winter of 2016, when inspired by the promptings of my inner Goddess ~ the Great Mother Within, I claimed a small corner of the kitchen counter as my space; for self nourishment, value and connection. I had been feeling tightness and discomfort in my upper abdomen; a feeling of heaviness weighing me down. I didn’t anticipate that the simple act of claiming the counter space would begin a process that would help re-align my life more fully with my soul’s purpose. We are presently entering the last stages of a kitchen expansion that began the week of my mother’s passing. As the old kitchen wall comes down, preparing to expand the heart and hearth of our home, I appreciate all that has nourished our lives, deepening our connection to Mother Earth. Replacing the old floors, we lay new foundations for our expanding potential to be realized, as we enter our next level of service. Grief, an ally of death, has opened me to a deeper love and appreciation for my life, with more awareness of where I had taken it for granted. Grief has provided the invitation to take inventory of what really nourishes me, and what has taken up my ‘one wild and precious life’, a line from a favourite poet of mine, Mary Oliver. As I accepted grief’s invitation, to consider the attitudes, beliefs and attachments I held that kept me from living fully, my son Tim started a business called Tidy Tim, based on a Japanese method of deep clearing and organizing called Kon Mari. The premise is to keep and invest only in what uplifts and sparks joy, creating more space for receiving the nourishment of our lives. With Tim’s support, along with healing and nourishing my inner space, I have been clearing my physical spaces making room for more joy and creativity to flow. The Edge, too, has been undergoing an evolution, wiping the slate clear of projects and programs we had invested in and supported over the years. What remains brings us the most fulfillment, nourishing our souls first, allowing us then to share this nourishment with others. With our Edge team, we are revealing and appreciating our original commitments and what called us here, re-aligning with our shared principles and values. It takes great trust and courage of the heart to let go of the comfort of what has been, the familiar and known, so that we may clear the way, opening up to unlimited possibilities of new life. With clearer vision we can better understand and embody our purpose, as stated in our Edge mission to ‘rediscover ourselves, empower others and heal our connection to Mother Earth’, claiming our true value. Our dreams can help cultivate trust and courage when faced with the unknown. At the time of the iceberg dream, I was feeling vulnerable and tender with personal health issues surfacing, challenging me to enter a new relationship with death as an ally, accepting my own mortality and the preciousness of my life. I continued digging deeper to reveal hidden truths, reclaiming my self value, vision and direction for these changing times. Reflecting on the dream, the iceberg was headed towards the propane tank, a vulnerable place of power. My own work and the work of the Edge has been to help melt the ice around humankind’s hearts, including our own, re-igniting the flame of passion and creativity, to utilize our power to make a positive difference in the world. Only by going within our vulnerabilities and healing the heart, can we tap into our true source of power and create the changes in ourselves and the world we seek. How do we honour and fulfill our commitment to awaken and nourish our connection to Spirit and Mother Earth? I recently watched the Disney movie, “A Wrinkle in Time” with my granddaughter Katie and son Tim. The message in the trailer caught our attention ‘The only way to overcome darkness is to become the light’. The Darkness was described by Oprah’s character as a huge brain in the universe with the potential to negatively influence human thoughts and actions. Thankfully the young, wise female hero of the story carried a key to saving the day; she nourished and strengthened her own inner light by focusing on what she loved. When we embarked on this journey of creating the Edge, the internet was brand-new. We had no idea it would become such a powerful force in the world. Technology has the power to negatively influence our thoughts and actions. I am grateful for the wisdom that guided us to create a safe space to unplug from technology and plug into nature and our own hearts. Communing with nature and the elements is vital in maintaining a strong connection to Spirit and Mother Earth. When we gift ourselves with intimate time in nature, resting on the earth, digging with our hands, savouring the smells, sounds and beauty around us, we are nourished deeply within, fuelled and restored by the love of our Great Mother. When I feel negativity rising within me, it is a signal to take heart action to revitalize myself and my light. Just as children yearn for the comfort of a Mother’s embrace, when fearful or confused, we remember who we are when we return to the love of our Earth Mother, as she holds us in our highest potential, dispelling doubts and fears or projections in the world around us. Leaning back against my favourite tree, I come into heart to heart connection. As I breathe the air deeply my roots travel to the heart of Mother Earth, drawing up the energy of unconditional love Mother Earth has to share. Reaching my branches towards to light of Father Sun I receive abundant energy, to nourish the light within. Reconnecting with the Power of the Earth and Sun restores inner power and life energy. One of the most powerful tools we have to rekindle our relationship with life is our inner light, our Heart Flame. In February 1996, while attending a shamanic training in California, I experienced my first ‘dismemberment’ journey. In the vision, I came to a village of cannibals, where I was slowly taken apart and devoured, limb by limb, until all that was left was a pink crystal embedded deep in my heart. The crystal was thrown into the night sky among the stars that appeared as different colours and shapes. The stars encircled my pink crystal heart, spinning at a fast rate. I heard a high pitched sound, as the stars spun faster and faster, merging with my heart crystal. I was fortunate to be a part of some of the transmutation experiments in the Medicine for the Earth training, where we experimented on transmuting toxins within water. We were able to change the PH of water significantly with each transmutation ceremony, demonstrating the ‘as within, so without’ principle. When I feel heaviness within or around me, I focus on my crystal heart, coming into union with the divine light within me. The crystal heart begins to spin, making a high pitched sound, filling every cell and fibre of my being with light. The light within expands outward, connecting the waters within me, to the rivers, oceans and streams; connecting my veins with the veins of Mother Earth, uplifting all of life. The heart is a master key to transmutation, as it carries wisdom to help us heal. Did you know that the heart has a memory? This is why heart transplant patients experience memories of the deceased donor of their heart. When we expand our heart flame with gratitude and compassion, reflecting the divine light we see in others and the world around us, we free the heart’s memories of suffering, transforming heavy headedness into gold light. Fuelled by love, we expand our light, healing the wound of separation. We enter the heart way of living in the present moment, creating heaven on earth. This practice helps me to become a clearer vessel for the light potential of love to flow as I internally expand my heart flame. The memories of suffering we carry may not only be ours, but connected to contracts or agreements with the ancestors in our bones. Around the first anniversary of my Mother’s death, I had a dream in which I found a voodoo doll of me in a dresser drawer. The doll had several pins in it, signifying the wounds I carried. At first I feared someone had created this doll in my liking as a form of black magic. Upon further investigation, I discovered I had actually created the doll to bring awareness to what was ready to be transmuted within me. I brought the doll to my inner child, who knew exactly what to do. She removed each pin, starting with the first memory of suffering, which turned into a rose, transmuting the energy of the memory into a gift. Many of the memories of suffering were cycles and patterns in the feminine line of my family. Receiving the gift of each rose, I freed myself and the ancestors of the old contracts we had agreed to. Gradually, my life has become a living prayer, a ceremony in itself, through each activity I engage in, whether feeding the birds, planting the garden, washing the dishes, or bathing. The circle has been the greatest teacher in my life, instilling a deeper trust in the Great Mystery, and the alchemy that is unfolding within each moment. Our circle sister, Vanessa Brown, recently shared her experienced in the Heart Flame of Shamanism gathering, about a deep change in the roots of her heart that has allowed her life to become a Living Ceremony. Living our lives in this way is deeply nourishing. When I feel the weight of the world on my shoulders, I sweat my prayers in the sauna to restore balance within myself. For me, this sacred space is the womb of Mother Earth, where I open my heart and offer my most intimate prayers of gratitude to the Creator. The heat of Grandfather Fire helps me shed regret, anger, fear and grief from my bones. I feel lighter emotionally, physically, spiritually and mentally. I have lost over 30 pounds that I attribute to my time spent in living prayer and ceremony within the sauna, shedding weight not only physically, but emotionally, spiritually and mentally. Prayers of gratitude restore my connection to the greater circle of life, deepening my trust and faith as I surrender my fears and illuminate my shadows. What is the circle formula for transmutation? Have you noticed in your life and the lives around you, collective themes for healing emerging, like waves of intensity that spike at various times, often triggered by an event? These are potent times to gather in the circle, to transmute old ways of being within ourselves and the collective. Words are powerful ways to manifest that which we dream. Listening deeply to our collective dreams, insights and questions, we gather common threads weaving an inspiration, or prayer. Inspirations provide us a focus for our gathering, as they are ‘inspirited’, guided by Spirit, co-created through the contributions of the circle, written and spoken in a powerful affirming language as though they are happening now. Responding to the collective call for healing, we gather in the circle, become the hollow bone, bringing spirit to the centre. Our imaginations are powerful tools of manifestation. When we dream together in the unified shape of the circle, with collective focus we activate the highest potential to co-create change, fulfilling the greatest needs we perceive in the world. Like the sauna or sweat lodge, the circle is also a powerful alchemical container; a cauldron that can intensify and elevate the potential and healing of each individual present. Collectively, we transmute and transform exponentially as we focus on our collective inspiration as we join our heart flames. Gathering as a circle, we uplift one another, reflecting the light potential to each other, reminding us of who we are, and what we are capable of. Our prayers and dreams are amplified through our sharing and deep listening, as we cultivate a deeper trust in listening to our own heart. In the loving, safe, supportive space of the circle, our shared insights, wisdom and tools help us ride the waves of change, as we change ourselves. Each one of us is like a thread contributing beauty and depth to the collective tapestry we are creating. We must be courageous to answer a call, showing up without knowing the true nature of the gift we are bringing. Can we let go and trust that we have been prepared for anything that comes our way, showing up as we are, receiving the true gift of discovering our inner value? Sometimes our gift is in receiving the gifts of the circle. The circle helps us balance offering fun and joyous support systems for our growing abilities to respond. As needs and truths arise around us, so does our increasing ability to go even deeper within, providing us with safe passageways of responding and taking action, supported by the circle to which we all belong. Coming together as One Heart, focused on a collective inspiration in prayer and ceremony, is our circle formula for transmutation. The Way of the Circle, is a pathway ‘Home’ and ‘Way of Living’ for those seeking value of our greatest gifts, true held power, safe passage, peaceful resolutions, to be heard and acknowledged, loved and accepted, healing, connection, encouragement and support. Through the awakening heart, we realize our connection to the greater circle of life, guiding us to discover the immensity within. As we come ‘Home’ to ourselves we reconnect with Mother Earth, our Family, Community and the Circle to which we all belong. I recently returned from a journey to Sardinia, an island off the coast of Italy in the middle of the Mediterranean. On our second last day, on the way to planting the Mediterranean Tree of Life, an Olive Tree, we met a Water Priestess named Chiara Vigo. Chiara is from a long line of women in her ancestry, who weaves sea silk made from byssum, saliva of a rare giant clam, that shines like gold in the sunlight. Chiara is the last woman doing this sacred work. She then took the ball of byssum and attached it to a spinning wheel, while chanting in a very deep tone. I felt the immense power coming from the vibrations of her chant, running through me. When she was finished weaving, she took us outside to show us how the thread she spun, glistened like gold in the sunlight. We each received a piece of the golden thread, which historically has been used to embroider special cloths for the Pope and new Pharaohs. Following our guide, we then set off to a sacred archeological site, where we planted the Olive Tree between the setting sun and the rising moon. Our guide told us that the small lake next to where we planted the tree, was bone dry the day before we arrived to Sardinia, and had been dry for 4 years. Rains began on the day we arrived, raining 6 out of the 9 days, which is unheard of in Sardinia. Afterwards, hurried by the guide, we packed our altars in the dark heading back down the mountain. On the car ride home, I didn’t recall putting the golden thread back into my medicine bag. It had been carefully wound around and tucked under a ‘crystal mountain’ on my altar, so it could not fly away. Arriving back at our home away from home, I searched high and low for the golden thread, which carried significant meaning for me. I couldn’t find it anywhere. I tossed and turned all night, thinking ‘How could I lose the golden thread’!! My heart then spoke to me, and said, ‘The golden thread was an offering to the Tree of Life, to help anchor and nourish it’s roots so it can grow healthy and strong. The golden thread is also is within me.’ Since returning home, in my dreams and visions, the Grandmothers have been weaving the golden thread within my energy body. I recognize a connection between the ‘lost’ golden thread and my Mother. Upon my Mother’s death bed, she gave me a beautiful gift. Standing next to her bedside, as she lay unconscious I looked out the window and heard her voice say ‘come outside’. I went out and was guided to two oak trees. As I stood between them, I cried a river of tears, feeling the presence of both my mother and father. After some time, my mother said with a sense of impatience, ‘‘Are you done now? as I wiped the tears from my eyes. She then said in a stern voice, ‘Now look it here, what have we been working at healing all of our lives together’? I responded ‘The belief that we are separate’. She then said ‘I want you to promise me that you will always remember, I am in your heart and in life all around you’. I made a promise to her, that I would remember, and then walked back to the house. As I entered the door, instead of turning left to go back into her room, I went to my own room and called my twin daughters to wish them a happy 34th birthday. While I was on the phone, my mother took her last breath. She chose to complete her life on an important day, the 34th anniversary of her sobriety. ~ The crown my mother now wears, imbued with the love of our family as she joins the grandmother’s circle weaving prayers for healing, peace and unity for all. The promise I made to my mother has been very difficult to fulfill. One day recently, as I felt the heavy weight of her physical absence, I went for a walk on the One a Day trail. She spoke with me the entire walk and guided me to a very old yellow birch tree, asking me ‘How does the yellow birch grow’? I recalled that the yellow birch tree only grows from the trunk of another yellow birch tree, the Mother Tree. My Mother responded ‘Yes! The tree grows from it’s Mother, just like you and I. There is no possible way for us to be separate, for you grew from within me and I am in you’. I realized at this moment, the gift my mother gave me at her deathbed was a deeper understanding of my purpose and value in this world. I am here to transform the limiting belief of separation, restoring connection to self, Spirit and Mother Earth, just like the words I spoke in the Iceberg dream. Her death was an invitation for me to go deeper to find and connect to the root of love, the golden thread that connects us all through the Tree of Life and the circle to which we all belong. Thank you for taking the time to read the story Deanna! What a beautiful sharing Martha. Thank you for this. These were words I needed to read and they came at the perfect time. I was moved to tears. A humongous and sacred download at the perfect moment in my life. Thank you, Martha. Charging up my heart fires, feeling the Golden Thread pulsing. “We are the Weavers. We are the Web.” Looking forward to seeing you this summer. Nat and I are going to paddle together and i can’t wait to give you a big hug! So much Love! My second read tonight, so rich, vibrantly meaningful and LOVEly! An anchor piece to return to again and again, each time finding new meaning and golden heart threads that give me both roots and wings. Many thanks for your beautiful and inspiring sharing Martha! Thank you, Martha! There is so much here rich with wisdom and pathways directing my practice towards becoming a mirror of love and joy to myself and others. Dear Martha! Was looking for a pic of my mom and I tonight and I felt called to read your sharing in the newsletter. Thank you so much for your memories of your mom – so precious! Also, thank you for sharing your heartful ceremonies. Feel so blessed to be part of our circle.